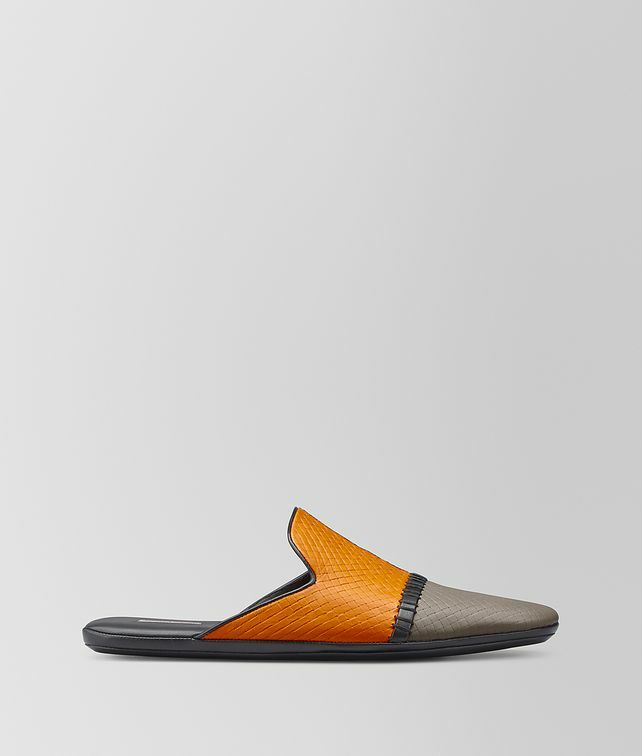 The Fiandra slipper is new for Cruise 2019 in the Micro Intrecciato workmanship, which features two panels of intrecciato-embossed calf leather stitched together. Both elegant and statement-making, the color-blocked style is detailed with two leather stripes, one plain and one accented with decorative hand-stitching. Finished with a lightly padded insole and a new antibacterial mesh lining.